There have been plenty of biographies of Alan Turing, including Jack Copeland's own excellent Turing: Pioneer of the Information Age, but this chunky volume is something quite different - a massive, 42 section collection of articles about different aspects of Turing's work, from the inevitable Enigma and Tunny deciphering working during the Second World War, through the development of programmable computers, the Turing test and Turing's little-known foray into biology. Like all such collections, it suffers a little from overlap in sections and variability in quality, however what the approach enables the authors to do is to go into far more depth than I have seen elsewhere. So, for instance, there is an article on the use of the Manchester computers to produce the first computer-generated music which includes the details of how this was programmed and an analysis of the notes produced (and how the recording was made at the wrong speed, changing the frequencies). Similarly there is far more depth on the approaches taken to crack the German codes, the mechanisms of the bombes and Collosus computers used at Bletchley Park. This is a goldmine of information if you enjoy delving into the depths of these examples of human ingenuity. I did find that after about the first half I was rather losing steam. The sections on AI and the mind, biology and mathematics seemed less approachable than the rest, though that may just be reader fatigue. Even so there's lots here that will appeal. Only one section stands out as particularly poor - a contribution by Stephen Wolfram which is entitled 'A century of Turing' but might have been better described as 'How Turing was Nearly as Clever as I am', as it seems far more about Wolfram than Turing. The biggest appeal of this book is likely to be for those who want to dig into more depth in the ways that Enigma and Tunny were dealt with, and in those early ACE and Baby computers, than can be covered in a typical scientific biography. 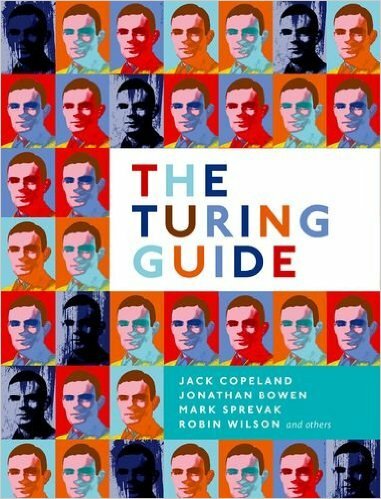 There are also some highlights of information about Turing the person I have not seen elsewhere, although the Guide doesn't really work to give a rounded picture of the man. Rather than a book to read end-to-end, this collection seems better suited as a reference on these different aspects of Turing's work, providing excellent snapshots of this remarkable individual, who should have been recognised far earlier for his contributions than security restrictions allowed.